This Larsson display cabinet has it all. 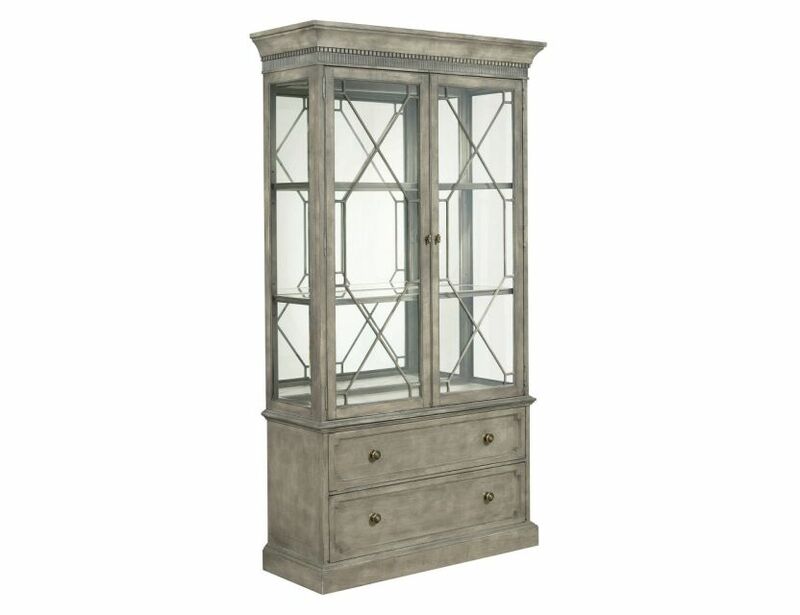 Beauty and storage with two drawers and a gorgeous two glass framed doors with moulded fretwork add to the overall elegance. Two wood framed adjustable shelves with plate grooves for all your display items and a mirrored back for a reflection all your own. Perfect ending to your dining room.